& We're Off to the (Turtle) Races! 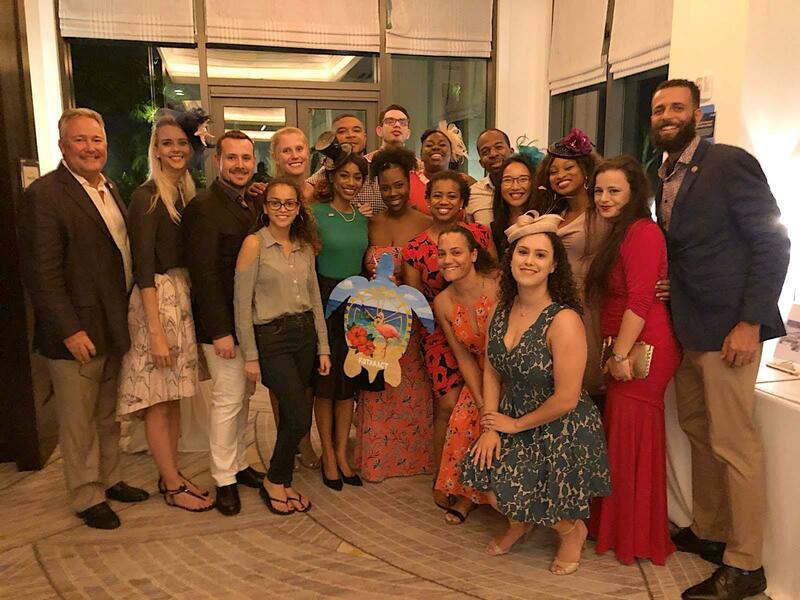 The Cayman Rotaractors joined the Rota-fam in full ascot funky style (with fascinating fascinators - of course), for the Rotary Club of Grand Cayman's 3rd annual Turtle Race Fundraiser at the Kimpton Seafire Resort. All of our jockeys were astonishing and Director Brian got both of the Rotaract turtles 'Charlotte the Rocket' and 'Blu' by John Doak, a win to secure a spot in the final race! We placed 4th overall but next year we shall return for the crown. Disclaimer: No actual turtles were harmed in the raising of these funds. 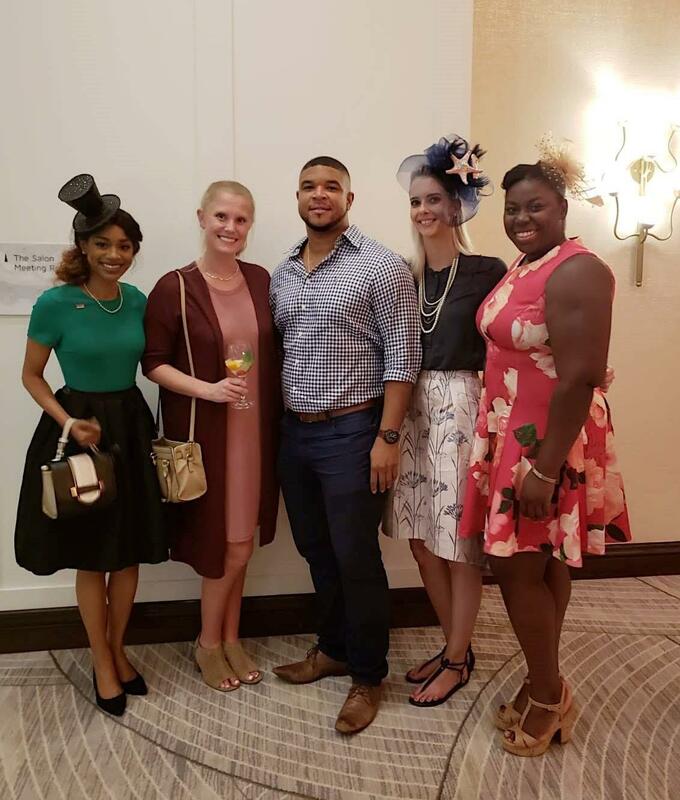 The evening started off with drinks in the "Paddock" before being ushered into the ballroom for the main event of the evening. There were two race tracks on each side hosting unique turtle designs of all sorts with jockeys on standby, prepared to race. 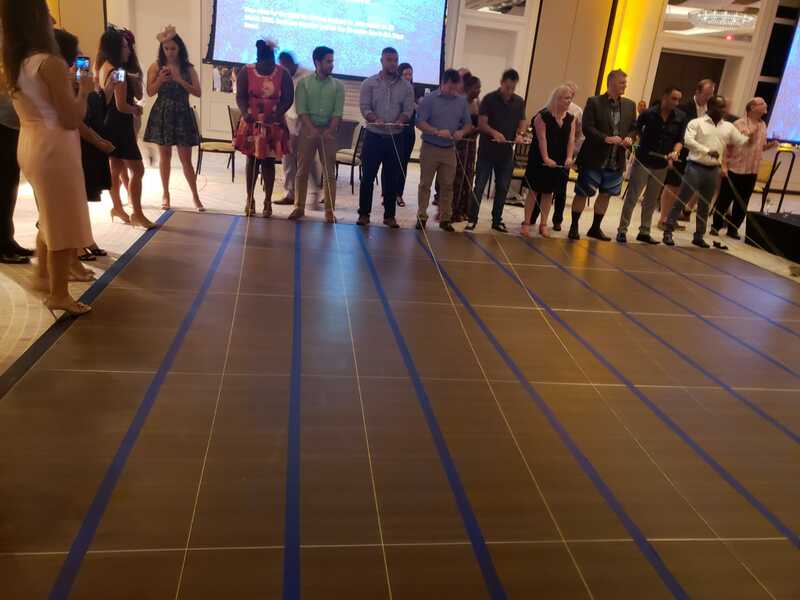 After President Lawrence, the officiator of the evening gave his welcome and informed of the rules and regulations - it was time for the races to begin! How does one race a wooden turtle you ask? Each turtle has a keyhole at the top with string which is connected to a stick held by the jockey. Each jockey must wind the string using both hands (sometimes blindfolded) as fast as possible, pulling the turtle towards them. Sounds easy enough? It's actual quite challenging but once you find your groove... it's on! There was a lot of excitement.. intermission with delicious foods, raffle prizes, a silent auction and more making it a really joyous and interesting night. 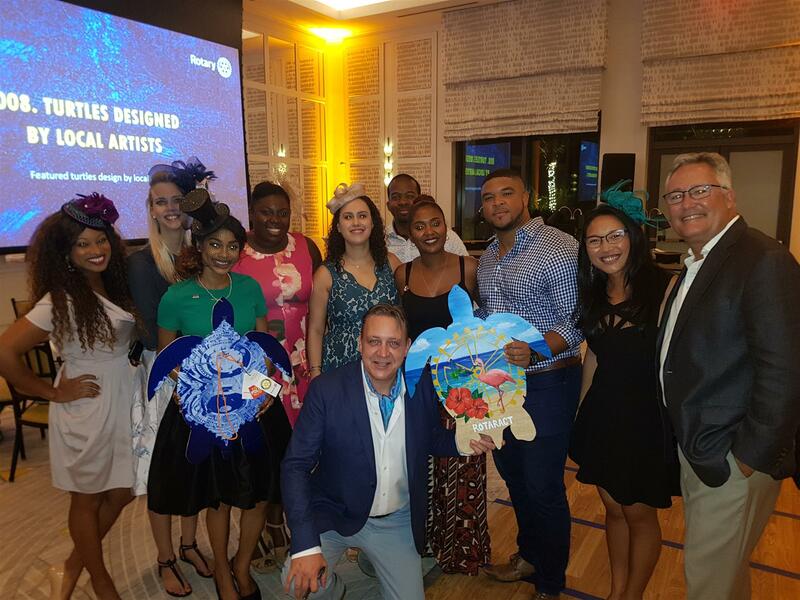 We were more than happy to participate in such a wonderful evening for good causes and we already cannot wait to enter again next year. Thank you for having us Rotary Club of Grand Cayman! 'Charlotte the Rocket' designed by Rotaractors: Secretary Ileana of Lil' RCGC and our President Rene of Blue. Sponsored by President Lawrence. 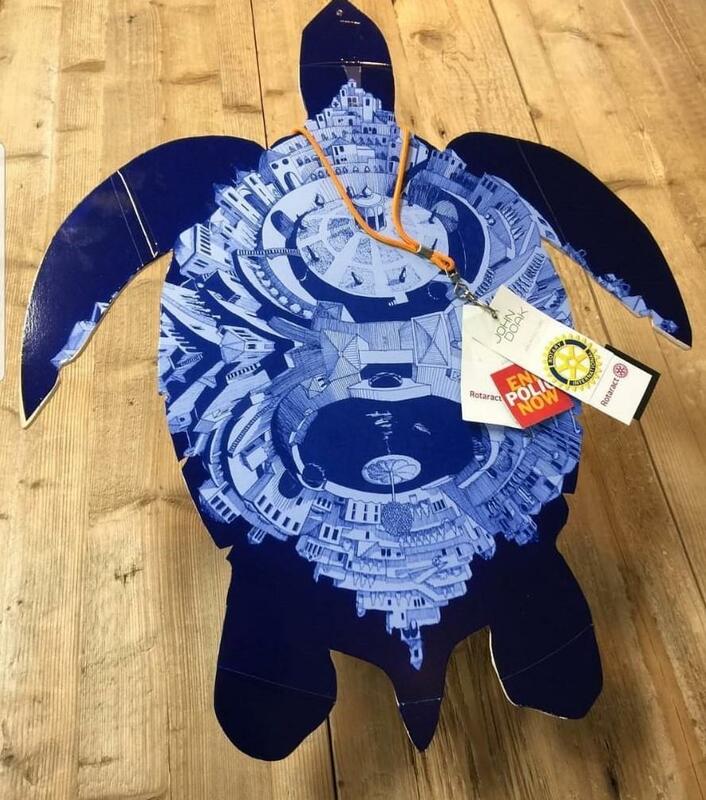 'Blu' designed and sponsored by John Doak Architecture and jockeyed by the Rotaractors. 'Charlotte the Rocket' is named as a nod to North Charlotte where the first Rotaract club in the world was chartered. 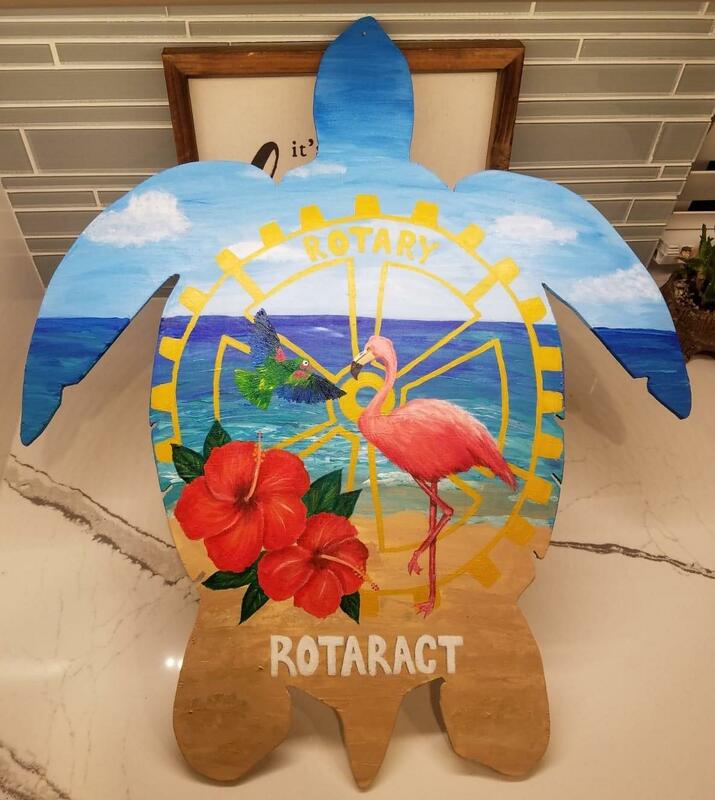 The interpretation of the Rotary wheel symbolizes Rotaract's connection to Rotary while the blue skies and ocean represent Rotaract Blue and the Cayman Islands. The beautiful parrot represents our sister Rotaract Club (Lil' RCGC). The hibiscus flowers in recognition of Rotary District 7020 and the flamingo of Rotaract District 7020’s theme and logo for this year.